LACA SC is looking for an energetic trainer for their upcoming Zumba Soccer Program for women. 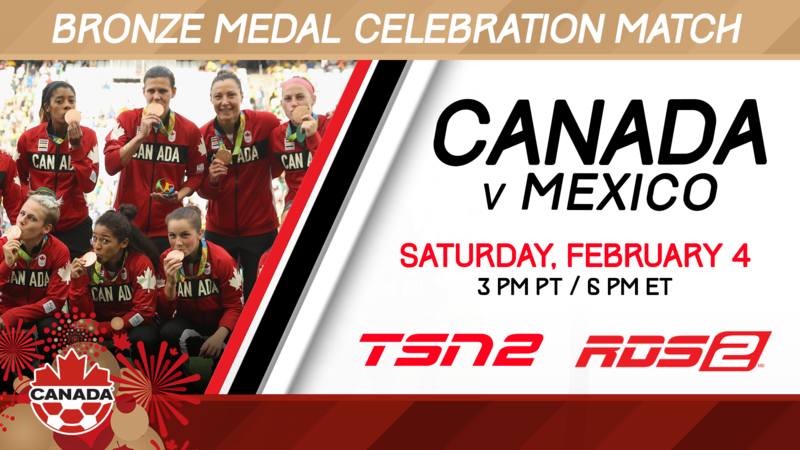 Canadian soccer fans from coast to coast can relive the excitement of Rio 2016 when Canada’s Women’s National Team hosts Mexico in a highly anticipated Bronze Medal Celebration Match this Saturday, February 4th. The live broadcast of the match from BC Place in Vancouver airs on TSN2 and RDS2 at 3:00 pm PST/ 6:00 pm ET.